With a degree in nursing, individuals can make a significant difference not only in their own lives but potentially in the lives of many others. The following 25 Best Bachelor's Degrees in Nursing allow students to build the foundations of a safe, ethical, and effective nursing practice. Each of the degrees listed is a Bachelor of Science degree supported by courses in the biological and social sciences. Most programs include courses in health assessment, pharmacology, and pathophysiology. Many also cover specific areas of nursing, such as mental health, maternal and infant care, and health promotion. In addition to scientific and theoretical foundations, many nursing schools also incorporate learning tools such as patient simulators to fully and safely familiarize students with the nursing practice. Once they are equipped to work with patients, students typically participate in hands-on supervised clinical practicum experiences. Graduates of these programs leave prepared to sit for licensure exams to become registered nurses. All registered nurses must be licensed. A significant duty for nurses is providing advice, guidance, and emotional support to patients and their loved ones. Registered nurses typically work in hospitals, clinics, physician's offices, care facilities, and schools. According to the Bureau of Labor Statistics, the 2017 median salary for registered nurses was $70,000. The registered nurse job market is projected to grow by 15 percent by 2026. This may be due to a growing emphasis on preventative care, the growing rates of chronic conditions such as diabetes and obesity, and the growing life expectancy leading to continued demand for healthcare services for the baby-boom generation. Here are the 25 Best Bachelor's Degrees in Nursing for 2019! West Virginia University is a public research-intensive university with a main campus in Morgantown, WV. The university offers an accelerated program leading to a Bachelor of Science in Nursing. The program is designed for students with college degrees who wish to become registered nurses. Students focus on the core competencies of the BSN curriculum, including caring, communication, critical thinking, nursing interventions, and professional role. Students have access to learning opportunities in the university's state-of-the-art simulation facilities. The degree is designed to be obtained in 18 continuous months of full-time study. Graduates of the program can sit for the registered professional nurse licensing exam. U.S. News & World Report ranks WVU No. 84 in Best Medical Schools: Research and No. 48 in Best Medical Schools: Primary Care. Texas Tech University Health Sciences Center is a multi-campus state university based in Lubbock, TX. It operates additional campuses in Abilene, Amarillo, Dallas, El Paso, and the Permian Basin. It is part of the Texas Tech University System. TTUHSC offers a Bachelor of Science in Nursing designed for students who are not registered nurses. The program combines classroom learning and practical applications with patient simulators and in hospital settings. The program is offered in Abilene, Lubbock, and Odessa. Course offerings include Health Promotion Across the Lifespan, Mental & Behavioral Health Nursing, and Scholarship for Evidence-Based Practice. U.S. News & World Report ranks TTUHSC No. 90 in Best Medical Schools: Research and No. 71 in Best Medical Schools: Primary Care. Florida State University is a public state university in Tallahassee, FL. A sea- and space-grant university, FSU is classified as a Research University With Very High Research by the Carnegie Foundation. The university offers a Bachelor of Science in Nursing. The program combines a theoretical foundation with evidence-based nursing care in health care settings. Graduates leave the program prepared for the national registered nurse licensure exam. Learning tools and environments include clinical labs, patient simulators, ad research labs. A limited number of students are admitted to the program as space becomes available. The university also offers an accelerated BSN program. The University of North Florida is a public university in Jacksonville, FL. It is a member institution of the State University System of Florida. The university offers three tracks leading to the Bachelor of Science in Nursing: Accelerated Prelicensure BSN, Regular Prelicensure BSN, and RN-BSN Bridge. Each program has a community-based curriculum that encourages students to engage with the community and build relationships with community agencies. Nursing courses include AIDS: A Health Perspective, Identification of Emergency Situations, and Culture and Health Care in Ireland. U.S. News & World Report ranks UNF No. 58 in Best Value Schools, No. 42 in Regional Universities South, and No. 14 in Top Public Schools. The University of Cincinnati is a public space-grant university in Cincinnati, OH. It is a constituent institution of the University System of Ohio and the second largest university in the state. UC was the first college to offer a Bachelor of Science in Nursing degree back in 1916. The university's BSN program incorporates aspects of equity and inclusion and technology and innovation. It also emphasizes experiential learning through the university's Health Center and clinical partners. Course offerings include Concepts of Community, Nursing Care of Adults, and Pathophysiology. U.S. News & World Report ranks UC No. 38 in Best Medical Schools: Research and No. 48 in Best Medical Schools: Primary Care. The University of Connecticut is a public flagship land-, sea-, and space-grant university. It is a Carnegie-designated Doctoral University with Highest Research Activity. It is also counted as a "Public Ivy," as a public institution with a quality of education comparable to the U.S. Ivy League. UConn offers a Bachelor of Science in Nursing program at its campus in Storrs, CT.
Students begin their undergraduate education with foundational courses in the arts, humanities, and sciences before beginning the junior-senior nursing curriculum. Nursing courses include Child Health, Perinatal & Women's Health, and Public Health Nursing. Students also complete a capstone nursing practicum in their final semester. George Mason University is a public university named after a founding father who authored the Virginia Declaration of Rights. A research university, GMU is included in the Carnegie Foundation's "highest research activity" category. In addition to its main campus in Fairfax, the university has campuses in Arlington, Fort Royal, and Manassas, Virginia, as well as in Songdo, South Korea. The university's Bachelor of Science in Nursing program emphasizes health promotion and disease prevention. The degree is offered in traditional and accelerated program formats, as well as in formats designed for registered nurses and military veterans. Required BSN courses include Basic Nursing Care of Adults, Leadership and Management of Health Care, and Pharmacology. San Diego State University is a public space-grant research university in the Carnegie Foundation's "high research activity" category. Located in San Diego, CA, it is the third-oldest university in the 23-member California State University system. The university offers a pre-licensed Bachelor of Science in Nursing program. Incoming freshman students can enter the program if admitted via direct-entry. The curriculum plan includes courses in Community and Public Health, Medical Ethics, and Pediatric Nursing. U.S. News & World Report ranks SDSU No. 127 in National Universities, No. 60 in Top Public Schools, and No. 45 in Most Innovative Schools. The University of Delaware is a public research university classified as a research-intensive university with very high research activity. Located in Newark, DE, it is the largest university in the state by student enrollment. The university offers a Bachelor of Science in Nursing program designed for students seeking registered nurse licensure. Students can enter the program directly as freshmen. Required courses include Concepts in Nutrition, Family Health & Wellness, Psychiatric Mental Health Nursing, and Women's Health Across the Lifespan. Program features include the university's Simulation Resource Center, with patient simulation technology, and community participation through the School of Nursing student organizations. The University of Minnesota, Twin Cities is a public land- and sea-grant research university in the Twin Cities of Minneapolis and Saint Paul, MN. It is categorized in the top tier of research universities by the Carnegie Foundation. The university is a "Public Ivy" university, with an education quality comparable to that of the private Ivy League. UMN's Bachelor of Science in Nursing program qualifies graduates to take the registered nurse licensure exam to earn certification as public health nurses. The full-time curriculum includes one year of prerequisites and three years of sequenced nursing courses and clinical placements. Major required courses include Ethical Sensitivity and Reasoning in Health Care, Health Informatics and Information Technology, and Principles of Human Anatomy. Florida International University is a public university with major campuses in the Greater Miami area of Florida. It is categorized as a research university by the Florida Legislature and classified as having the highest level of research activity by the Carnegie Foundation. The university offers an accelerated program leading to a Bachelor of Science in Nursing. The program consists of three full-time semesters of coursework, starting with an intensive mini-semester covering nursing fundamentals. The curriculum includes courses in Care of Communities: Community Health Nursing; Care of Families: Childrearing Nursing; and Health Assessment and Promotion in Nursing Practice. Graduates of the program can take the registered nurse licensure exam. Purdue University is considered by the Carnegie Classification of Institutions of Higher Education to have "very high research activity." U.S. News & World Report ranks it No. 56 in the United States, No. 17 among public institutions, and No. 6 in innovation. Purdue offers a Bachelor of Science in Nursing. Students are admitted directly to the program for their freshman year and complete four years of nursing courses, including three years of clinical placements. Nursing courses include Nursing of Childbearing Families, Leadership in Nursing, and Population Health. Graduates leave the program prepared for registered nurse licensure. Located in Salt Lake City, the University of Utah was also home to the first medical school in the state. It is classified by the Carnegie Foundation as a doctoral university with high research activity. U of U offers a Bachelor of Science in Nursing. Courses include Global Public Health, Maternal/Infant Health Nursing, and Mental & Behavioral Health Nursing. The program offers clinical experiences in various regional settings, opportunities for community engagement, and a state-of-the-art patient simulation center. U.S. News & World Report ranks the university No. 199 in the U.S. and No. 56 among public institutions. The Ohio State University is a land-grant university founded under the Morrill Act. The public research university is the third-largest campus in the United States. In addition to its main campus in Columbus, OSU operates regional campuses in Lima, Mansfield, Marion, Newark, and Wooster. The university offers a Bachelor of Science in Nursing. Students must complete a year of prerequisite nursing coursework prior to admission to the major, followed by three years of further study in nursing. Required courses include Concepts in Community Health Nursing, Health Assessment, and Psychiatric and Mental Health Nursing. U.S. News & World Report ranks the university No. 18 in innovation and No. 17 among public schools. The University of Washington is classified as a doctoral research university by the Carnegie Classification. Located in downtown Seattle, it is one of the oldest public universities on the West Coast. U.S. News & World Report ranks it No. 59 in the United States, No. 37 in innovation, and No. 20 among public institutions. UW offers a two-year professional program leading to a Bachelor of Science in Nursing. Students work with interactive tools in the university's Learning Lab before applying their skills in supervised real-world clinical settings. Courses include Ambulatory Care, Child Health, and Health Equity. Graduates leave prepared to sit for registered nurse licensure exams. The University of Maryland, Baltimore is a public university with some of the nation's oldest professional schools of dentistry, law, medicine, nursing, pharmacy, and social work. UMB is the original campus of the University System of Maryland. The University of Maryland School of Nursing is one of the oldest and largest nursing schools in the country. Its Bachelor of Science in Nursing program prepares students for licensure exams, graduate studies, and successful health care careers. The plan of study includes courses in Health Assessment; Infant, Child, and Adolescent Nursing; Maternity, Newborn and Women's Health Nursing; and Psychiatric Mental Health Nursing. The University of Texas Medical Branch is the academic health center component of the University of Texas System. Located about 50 miles from downtown Houston in Galveston, UTMB has the oldest medical school in the state of Texas. U.S. News & World Report ranks the institution No. 70 in Best Medical Schools: Research and No. 85 in Best Medical Schools: Primary Care. The university offers a 16-month program leading to a Bachelor of Science in Nursing. The degree program involves four consecutive semesters and 16 total courses. Courses include Concepts of Pathophysiology, The Mother and Family, and Nursing Informatics & Technology. Students also take a 4-credit clinical capstone in their final semester. The University of North Carolina at Chapel Hill is a public research university and the flagship campus of the University of North Carolina system. Founded in 1789, it is one of three institutions allowed to claim the title of the oldest public university in the United States. The university offers a Bachelor of Science in Nursing. Students can follow a traditional program format with five consecutive semesters of study or an accelerated format of four consecutive semesters. All students begin clinical instruction in their first semester and complete an intensive capstone in their final year. Course offerings include Family-Centered Genomic Health Care; Individual Development Across the Lifespan; and Maternal/Newborn Nursing. Stony Brook University is a public sea- and space-grant research university. Located in Stony Brook, NY, it is one of four component institutions of the State University of New York system. U.S. News & World Report ranks it No. 80 in National Universities and No. 32 in Top Public Schools. The university offers a Bachelor of Science in Nursing program. Students begin the major after completing two years of general education coursework at SBU or another institution. Required courses include Anatomy and Physiology, Lifespan Development, Microbiology, and Statistics. Graduates can take the registered nurse licensure exam. The University of Wisconsin – Madison is a public research university, the official state university of Wisconsin, and the flagship campus of the University of Wisconsin System. U.S. News & World Report ranks UW No. 49 in National Universities and No. 15 in Top Public Schools. The university offers a Bachelor of Science in Nursing. The selective program has a two-year course sequence which includes courses in Health and Illness Concepts with Individuals and Families and Social Justice in Local and Global Settings. Students also complete a Transformative Nursing Capstone in their final term. The program prepares graduates to sit for the registered nurse licensure exam. #5. Georgetown University – Washington, D.C.
Georgetown University is a private Roman Catholic research university in Washington, DC. U.S. News & World Report ranks the University at No. 22 for National Universities, No. 32 in Most Innovative Schools, and No. 25 in Best Value Schools. The university offers a direct-entry program leading to a Bachelor of Science in Nursing. Courses include Human Growth & Development, Nutrition & Disease Prevention, and Mental Health Nursing Across Life. Students have opportunities to work in the state-of-the-art O'Neill Family Foundation Clinical Simulation Center. They can also study abroad in Dublin, Ireland or Sydney, Australia. Senior nursing students complete a nursing practicum in an area of their choice. Founded in 1819 by Thomas Jefferson, The University of Virginia is the flagship university of Virginia. The public research university is classified as a Research University with Very High Research by the Carnegie Foundation. U.S. News & World Report ranks the university No. 25 in National Universities, No. 32 in Most Innovative Schools, and No. 3 in Top Public Schools. The university offers a Bachelor of Nursing Science. The four-year full-time curriculum covers courses in anatomy and physiology, growth and development, leadership, nursing practice, pathophysiology, and pharmacology. Graduates of the program are prepared to sit for the registered nurse licensure exam. Binghamton University is a public university with campuses in Binghamton, Johnson City and Vestal, NY. It is one of four constituent institutions of the State University of New York system. A space-grant university, Binghamton is classified as a very high research activity university by the Carnegie Foundation. It is also counted among the "Public Ivies" as a public institution with an educational quality comparable to the Ivy League. The university offers a Bachelor of Science in Nursing program grounded in the liberal arts and sciences. Core nursing coursework includes The Client System of Nursing, Nursing Assessment of Clients, and Pathophysiology. Graduates are eligible for registered nurse licensure exams, and the university's nursing graduates pass the exams at an above-average rate. A public research university, the University of Michigan is a founding member of the prestigious Association of American Universities. It is classified as a doctoral university with "very high research activity" by the Carnegie Classification. The university offers a Bachelor of Science in Nursing program comprised of courses in the humanities and biological and social sciences as well as nursing. The curriculum includes courses in Culture of Health, Nursing as a Societal and Interpersonal Profession, and Structure and Function of the Human Body. Students may also choose to pursue a minor in population health in a global context. Along with its combination of theoretical and hands-on learning, the program offers students global study abroad options. Junior and senior students may also pursue three mini-courses in order to earn a certificate in trauma-informed practice. The University of California – Los Angeles is a public research university ranked the No. 1 best public institution in the United States and No. 19 overall by U.S. News & World Report. In 1981, the UCLA Medical Center made history when assistant professor Michael Gottlieb first diagnosed AIDS. 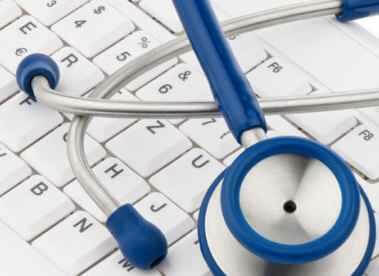 The university's School of Nursing offers Health AdministrationDegree's No. 1 bachelor's degree in nursing. The UCLA Bachelor of Science in Nursing program is a four-year program which qualifies graduates to sit for the registered nurse licensure exam. Nursing courses include Critical Care, Human Development and Health Promotion in Culturally Diverse Populations, and Mental Health Nursing.